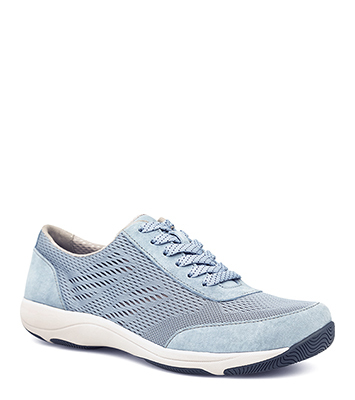 The Dansko Light Blue Suede from the Hayes collection. Hit your stride with the Hayes! The soft suede upper and strobel construction is joined by the contoured memory foam footbed and rubber outsole, bringing everyday comfort and long-lasting wear.